Do you think that building a house plan at 2,500 square feet means that you have to sacrifice style? Think again. Here are several small house plans that pack lots of style into a small footprint. These house plans include numerous bedrooms, ideal for a small family, functional layouts, and exquisite styling and curb appeal. 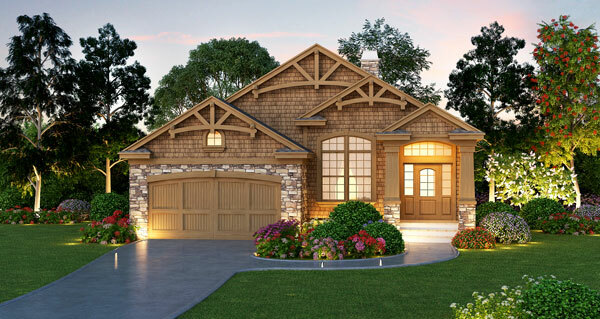 Take a look at these small house plans and see if you can find one that captures your heart. or search all our small house plans. The Inverness house plan is a delightful two story house plan that comes in at 2,562 square feet. Inside this beautiful traditional home is a large floor plan with a beautiful island kitchen, dining room, and breakfast nook. The master suite features a large dressing area and a master bath with a double vanity sink and a separate tub and shower. The basement floor plan features three more bedrooms, an exercise room, and a rec room. 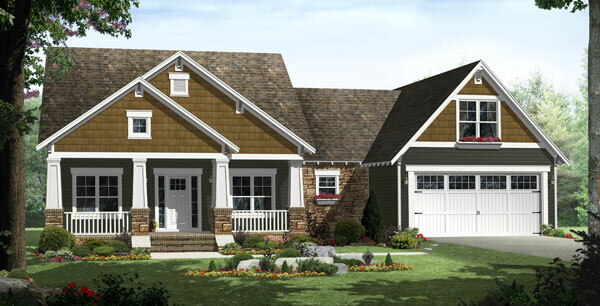 The Lexington Avenue house plan features Craftsman style with lots of upscale features. Front and rear covered porches make for usable outdoor living space and the large kitchen features a spacious island with an eating bar. The master bedroom is equipped with dual lavatories, a corner tub, and a walk-in closet. This small house plan also features a shop area off the garage for projects and storage, and a future space upstairs that could be a playroom, extra bedroom, or storage space. The basement could also be used as flex space. This beautiful small house plan is designed for use in a narrow lot. The 1st Place 2012 ENERGY STAR® house plan is a beautiful plan that comes in at 1,768 square feet. Entryways to this home are located at an angle and give off a feeling of spaciousness. This home uses Therma-Tru® doors to make sure the entryway is energy efficient. The interior of this small house plan has plenty of amenities as well including a dining room and fireplace. The master bathroom also features a corner soaking tub, large shower, and a separate toilet chamber. The master suite and a larger secondary bedroom share the covered patio. 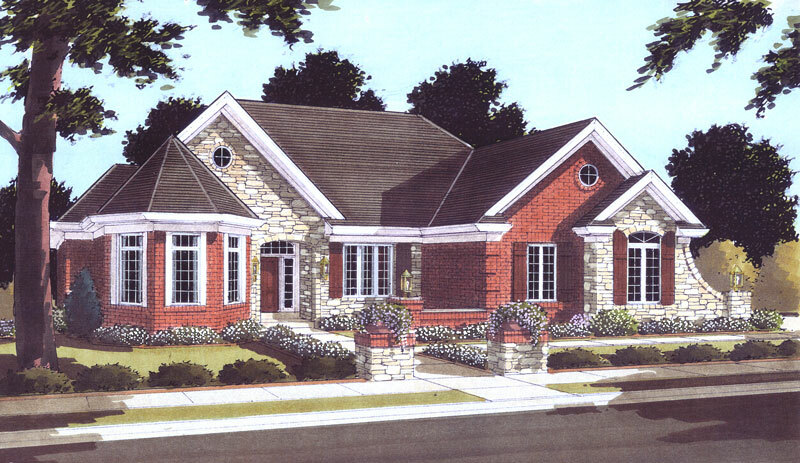 The Brumley house plan has all the charm of an English cottage. At 1,988 square feet it is ideal for a young family. This small house plan features three bedrooms and two and a half bathrooms but it also strikes a cord with professionals who work from home because it also features an office with double doors and a built-in desk just off the entry. The master suite features transom walls that flood the bedroom with plenty of daylight. The master bathroom features compartments at each end for a toilet and shower. This San Saba house plan is a three bedroom house plan with intricate details that give this home lots of style. San Saba features plenty of space for indoor and outdoor entertaining. Covered front and rear porches add to outdoor entertainment space. Inside you will find open living spaces so that guests can move about freely. This small house plan also features a see-thru fireplace shared by the Great Room and dining area. 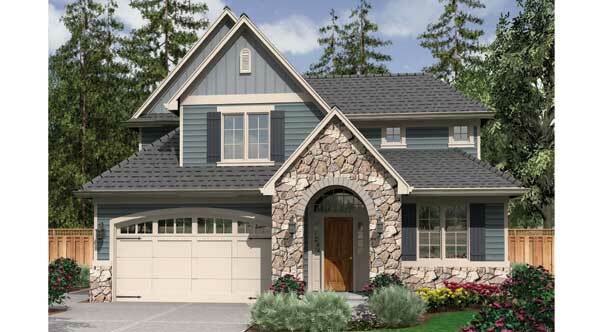 Which of these five house plans is your favorite? Tell us which one you would build in the comments below.